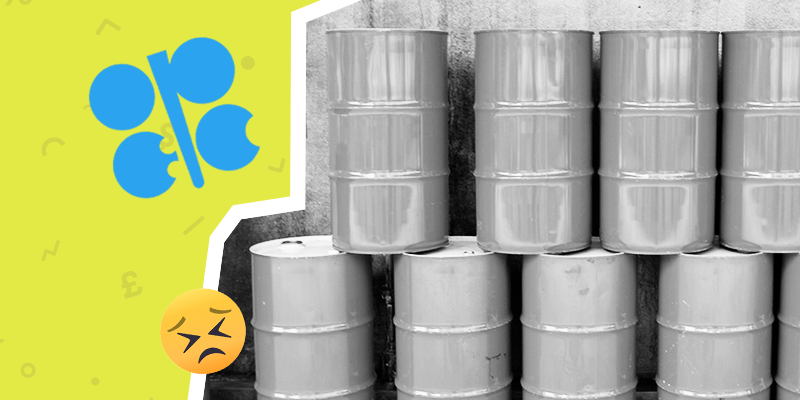 Since oil’s precipitous end of year decline, the market has been ruled by conflicting push and pull factors keeping its price in a sideways range. And while volatility can bring great returns for shrewd day-traders, it can be a serious headache for longer-term investors. Brent Crude Oil has been stuck in a range of around $60-63 since the 9th of January thanks to the counteractive forces of weakening global growth, Venezuelan sanctions and OPEC supply cuts. Global growth concerns returned with a bang yesterday after the Eurozone forecast a weaker outlook and President Trump announced that no further trade war meetings were scheduled until the 1 March deadline…Cutting it rather close! Simply put, lower growth translates to weaker oil demand, growing inventories and downward pressure on prices (pull effect). On the other hand, OPEC continues to support prices by ensuring its members reduce production to maintain stability in the market with Saudi Arabia decreasing its production to 1.7 million barrels per day (bpd) (push effect). However their hard work is being offset by record production in the US clocking in at a whopping 11.9 million bpd (pull effect). Whilst the effect from the Venezualan crisis has been mild thus far, the longer the crisis persists, the greater the impact will be as over 300,000 – 500,000 bpd of exports are wiped out (push effect). But for now the game of tug of war continues. Which side will win? Only time will tell. Iron ore took off at a rate of knots yesterday, surging more than 5% on concerns that Brazil’s top producer, Vale, would cut global supply by another 30 million tons. And that’s not even half of it! Last month’s deadly dam bust, which killed over 150 people, supercharged the price of iron ore after the first mine closure which cut supply by a whopping 40 million tons. While Vale is pursuing legal action against the operations suspension at its second mine in Brucutu, the idea of a chain-reaction of closures to other Vale-owned sites has rattled the mining industry, posing a major risk to price stability in both the mining and manufacturing industries. Prices have skyrocketed 8.9% this week to add to an immense 14% last week as the situation deteriorates and the major risks to the industry become more apparent. The drama has all played out while the world’s largest iron ore importer, China, has been closed for its Lunar New Year. Analysts are prepping for a momentous Monday when Chinese companies return to the fray with significant volume. 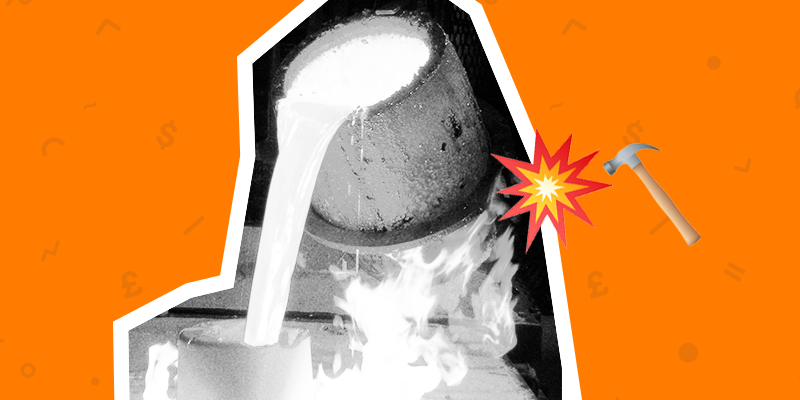 So if you’re invested in iron, better hold onto your hat because it could get volatile. At this early juncture, investors are seeing upside mainly potential for iron as the crisis deepens, but any positive developments will send iron’s price down and Vale’s price back up. Keep your eyes peeled. 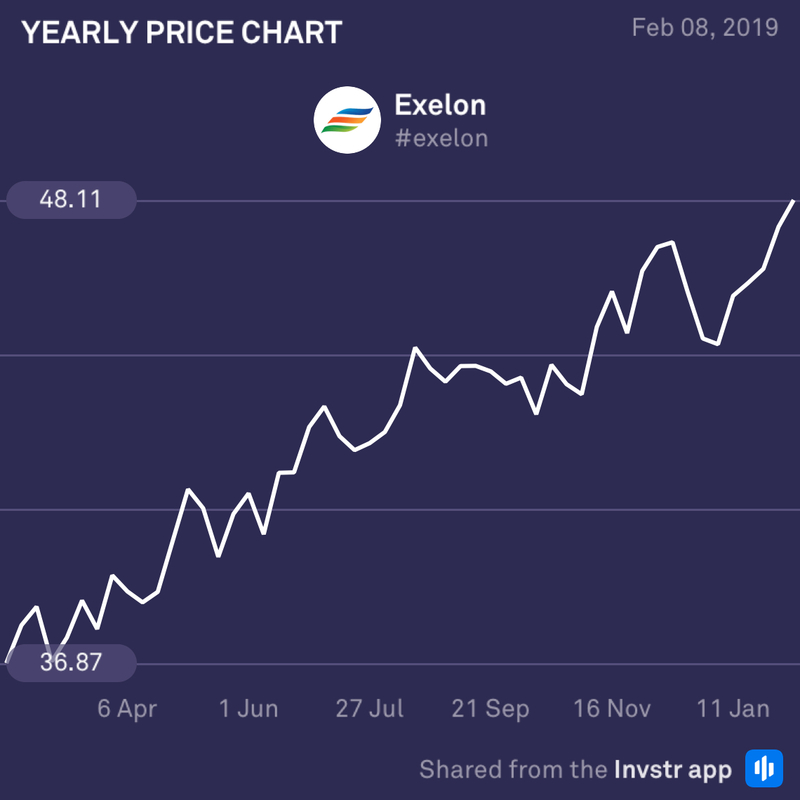 Exelon has had a strong year, rising over 30% since the start of 2018. Recent cost optimisation mechanisms have assisted in increasing profit margins and operational efficiency which will likely continue into 2019. Analysts are expecting good things from its earnings report today with the EPS estimate at $0.57 (+3.6%) on revenue of $7.2bn (-15%). This is definitely one to watch! 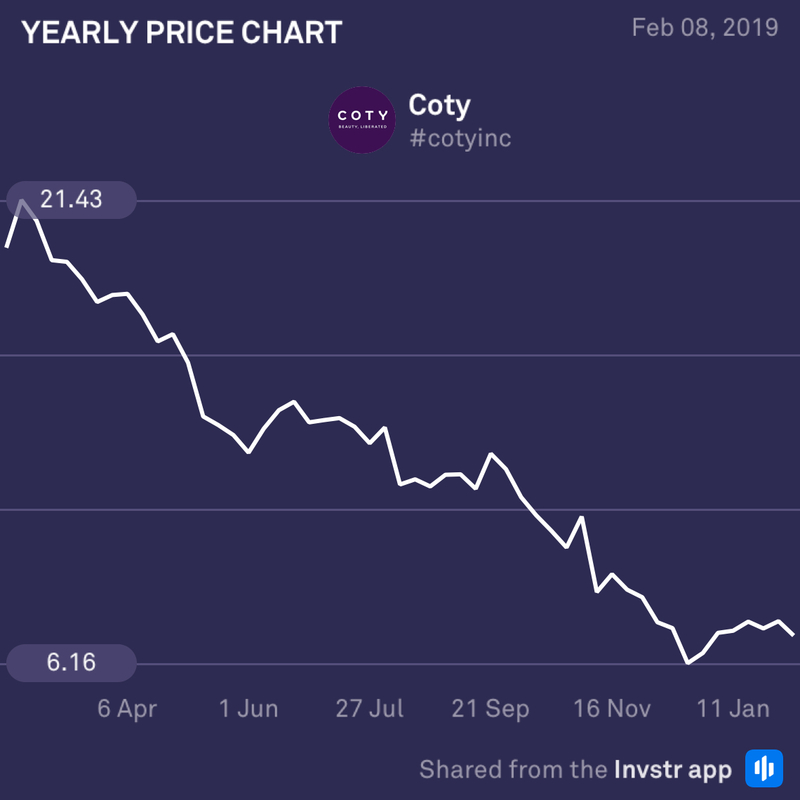 Having lost over 64% of its value over a 52 week period, US cosmetics company, Coty, is looking in bad shape ahead of its earnings announcement today. A number of supply-chain hurdles, freight costs and shortages from external suppliers of its luxury branch have hurt the company’s margins and don’t look to be letting up soon. The consensus EPS estimate is $0.22 (-31.3%) on revenue of 2.47bn (-6.4%).